I was born in Muskegon Michigan and have resided in North Muskegon all of my life except for a 6 year stint in Florida. I began playing violin in the West Shore Symphony in the 1976-1977 season while I was attending North Muskegon High School. I have played under the direction of John Wheeler, Phillip Greenberg, Murray Gross and Scott Speck. It has been over 40 years since first performing with the symphony. While living in Florida I was a member of the Southwest Florida Symphony Orchestra in Fort Myers. 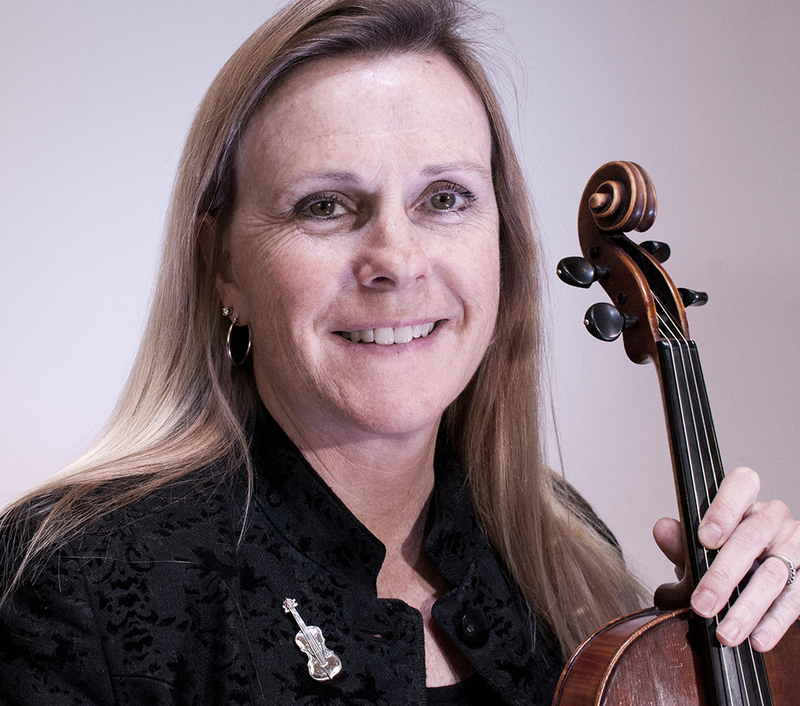 I began studying violin at age of 6 primarily with former West Shore Symphony concertmistress Jean Manning. I played with the West Shore Youth Symphony 7th grade through 12th grade under the direction of Bruce Harwood. I graduated from North Muskegon Public Schools, Muskegon Community College and Grand Valley State University with a degree in Physical Therapy. I have worked as a physical therapist for 32 years and continue to love my career choice. In addition to being a physical therapist by day, I love being a musician by night. Besides the West Michigan Symphony, I regularly play in the group Legal Rehab with my husband Roy and friends Scott White and Pete Buchholz. My other loves are spending time with our children and their families and traveling.